Asking someone you’ve just met what they do for a living is one of those super-safe, small-talk conversation starters. A few years ago, I began answering that fairly benign question differently. I work with a whole bunch of people who can answer the exact same way. Oh sure, we make mistakes. And when we do, we correct them. That’s a key difference between what some people call fake news and what is actually news published by a legitimate news organization. An error is an error. Trustworthy news sources acknowledge errors and publish corrections. The Spokesman-Review runs its corrections on Page 2. We run way more than we’d like. But we’re also honest about them. So, let’s get back to the truth. I’ve wanted to be a journalist since the third grade. That’s the way most journalists feel about their job. It’s not a career. It’s a calling. It almost has to be. The pay is typically terrible. There’s almost no job security. And then there’s the hostility – sometimes from the people we write stories about and sometimes from the people we write the stories for. A survey comes out annually listing the worst jobs. For several years now, newspaper reporter has been named the worst job in the world. The second-worst job: lumberjack. You don’t submit yourself to all of that unless it’s a calling. I’ve never met a journalist who told me they wanted to do this because of some political issue or stance. And certainly never for the money. They say things like how much they love to tell stories and want to help people understand what’s going on in their community. So, they dig through documents, go to meetings – often, incredibly boring meetings – and end up talking to lots of people who really don’t want to talk. 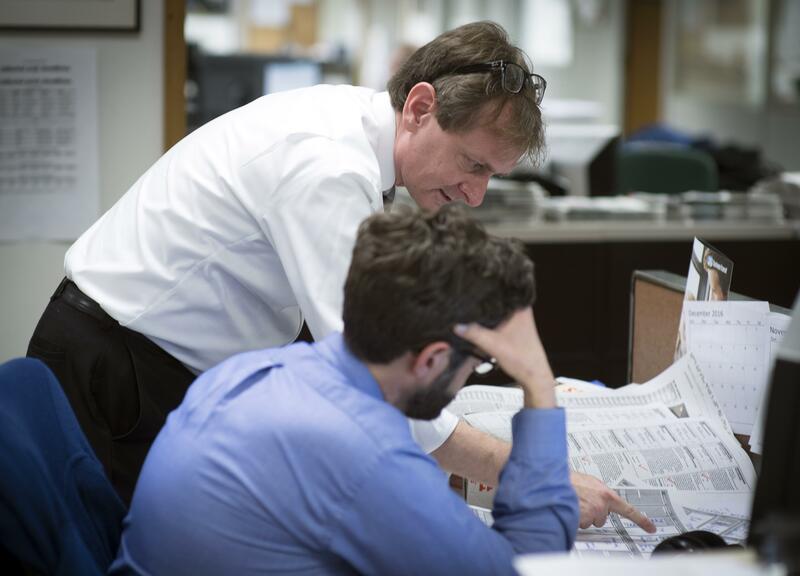 For many who work in a newspaper newsroom, there’s nothing quite like covering an election. It’s kinda like the anticipation and excitement many of us felt on Christmas Eve when we were kids. It’s the best night of the year. I used to work with a lot of computer and software programmers as we developed systems to help newspapers publish on the internet. One thing they used to say that always made me giggle was “nontrivial.” When something was hard to do, they didn’t say it was difficult. They said it was nontrivial. Covering an election is nontrivial. But this past year’s election was different. Our country is so polarized right now. There always is tension during an election, but this year was different. My Facebook feed is filled with friends from my childhood who don’t have the kind of life their parents had. They don’t have pensions. They can’t afford a vacation, and they drive a used car. They rent their home because they can’t afford a mortgage. They hear unemployment is low and wages are up across our country, but they can’t see it. That’s not their life. And that’s certainly not their facts. That gets me back to the idea that most journalists see this profession as a calling, not just a job. Most of the things I listed above about my childhood friends can be said about the exact people I’m so blessed to work with each day in our newsroom. When your career is calling, you often have to justify to your family, friends – heck, sometimes even to yourself – why you do it. For me, it’s simple. I love beliefs. And I love facts. Both are core to who I am. But I also know the difference between beliefs and facts. A belief is something you have trust in, even if you can’t fully explain it. Some call that faith. Beliefs can be things that you stand for – even those things can’t be proven. Every year, I believe my favorite baseball team has a chance to win it all. Despite my beliefs, I know my favorite team has an incredibly low payroll, a completely suspect pitching staff, and we just traded our best player for another guy I swear I’ve never even heard of. Beliefs can be argued. Facts can’t. I grew up right smack in the middle of the Bible Belt. My family went to church every Sunday. I was literally a Boy Scout. Back in my hometown, we called alternative facts what they really were: lies. None of us need to look that word up to define it. A lie is when you deliberately mislead someone. That gets to the core of why so many of us decided to be journalists. We want to use facts to tell our community when it is being misled. We get paid to tell the truth. Even if mathematically it’s the worst job in the world. And it’s still the only job I’ve ever wanted. Published: Feb. 8, 2017, 5:30 a.m.